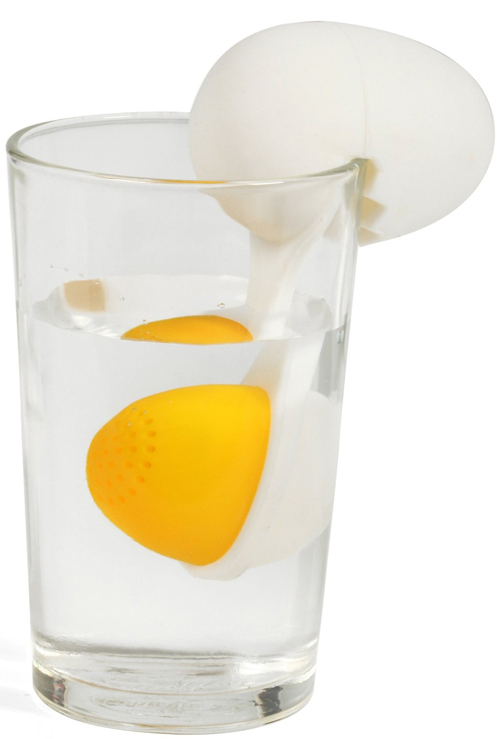 You know that scene in Rocky when Sylvester Stallone drinks the raw eggs? Sure you do. If not, you can be reminded of it below. (Ewww… salmonella). I’m not sure if that’s what the makers of the Decodyne Egg Tea Infuser had in mind when they designed this tea steeper, but that’s what it looks like. But remember, tea is much darker than raw egg protein slurry that Rocky drank — so you don’t have to look at the egg while drinking it!